What is self-awareness and why do I need it? Self-awareness is knowing one’s emotions. It is recognizing a feeling as it happens- Daniel Goleman. Few of us like to talk about our feelings, or even think about them. On the other hand, many of us think our feelings are obvious. It is easy to say, “I am so pissed at you right now”, but getting to self-awareness is understanding the feelings behind that feeling. Why are you angry at this person? Why is it that their words and actions make you feel the way you feel right now? Self-awareness is being able to monitor your feelings and observing yourself, and try to understand how these feelings influence your behavior. Psychologist John Mayer defined self-awareness is being aware of your moods and the thoughts about your mood. For example, when you are in a bad mood, recognizing that I feel very low, why am I feeling this way? I shouldn’t be feeling this way. What can I do to cheer myself up? –this is exploring your feelings and becoming more self-aware. This essence of self-understanding and taking control of the feeling you are having is self-awareness. I really liked Mark Manson’s article on self-awareness which explains levels of self awareness. Check it out. Self-awareness also translates to knowing where you are now, and knowing what you want to do and where you want to be. 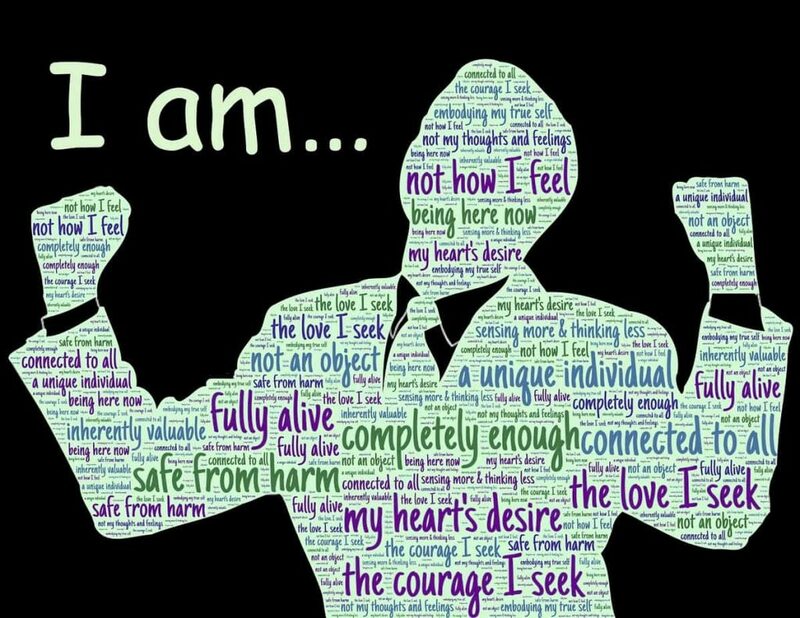 Being self-aware means that you have a realization and understanding of your personality, your strengths, weaknesses, your thoughts and beliefs and your motivations as well. Having self-awareness means that you have the opportunity to change your behavior and beliefs. Why do you need self-awareness? When you truly understand the person you are, you learn to accept yourself. This means you are more emotionally intelligent in the sense that you are responsible and accountable for your decisions, and do not compare yourself to others you are okay of your current situation, and know what you need to improve and reach where you meant to be. By understanding your personality, you become more content and satisfied with your strengths. You also learn about your weaknesses and learn how to work around them. Acceptance for yourself means you are also accepting to others. When you accept that you have weaknesses, you also allow yourself to give others benefit of doubt. For example, if you expect the other person in a relationship to put your feelings into consideration, ask yourself if you do the same for them. Being able to hold yourself into retrospect makes you come from a point of understanding when interacting with others and this way, you will form happier relationships. As we mentioned, self-awareness is about recognizing your emotions as they happen. This means that you acknowledge them and know how they are leading you. If you start feeling angry, you are able to say to yourself; I am feeling very angry right now, I better walk away from this person before I say something that I might regret later. This is emotional maturity. You know what you feel and you take control so that your emotions do not lead you to a downward spiral. The same happens when you are experiencing anxiety. When you feel anxiety coming, you are able to recognize, I feel anxious, this must have to do with that new project am undertaking. Overthinking about it won’t help, instead, let me focus on something positive. Let me work out or read a helpful book to lift my mood and get rid of this anxious feeling. Emotional maturity will help you not become a slave of your feelings but have some control over it. Self-awareness will help you gain the ability to express genuine feelings and interests to others. For example, you may be someone who gets hurt or angry and bury your feelings. The more you hold onto these feelings, the worse you feel. When you become self-aware and understand why you feel why you feel, you become more open to talking to someone about the way you feel, whether it’s through sharing or telling the person who hurt you. You are genuine with your feelings without the fear that what you talk about will be termed as a weakness. You get more comfortable with feelings as unflattering as they may be. I know some people who have dated and they have not told another person that they love them. When asked, you can tell that they love this person, they just cannot tell it to this person because they are uncomfortable with this expression of feeling, or are not genuine with the feeling. As you can guess, this stops someone from having a fulfilling relationships because they create a culture of holding back and they are likely to get the same from the other person. Knowing your strengths and weaknesses, and accepting them, will enhance your esteem in the sense that, no one can use your weaknesses, insecurities and low points to put you down. There is an exercise in my self-awareness course whereby you take an exercise about your ideal self. One of the sections in the exercise requires you to describe your physical attributes. By noting loudly to myself that I look like this and that, my skin is acne prone and spotty, (fill in other insecurities you may have about yourself) means that you accept yourself as you are, and surely, no one can use this to put you down, not even yourself on your low moment. This contributes to self-confidence building which starts with self-acceptance. Overall, self-awareness helps us in the journey of achieving our potential. The more self-aware you become, the more you appreciate yourself as you are. You gain a positive concept about yourself and increase your self-worth. In addition, you understand that each individual is unique and therefore you cut them some slack. You gain emotional stability and make more logical decisions rather than emotionally driven decisions. Having understood your weaknesses, you work on improving your weaknesses in a constructive way. For example, if someone calls you out for being too rigid in decision making, you take time to reflect and accept, maybe I should allow this to be done another way. In general, you will become a more accepting person to yourself and to others and therefore live a fuller, well balanced life.